Mar. 29, 2017: Last Tuesday, March 21, the Village of Bronxville saw voter turnout almost ten times our average over the last decade. And thank goodness we did. Hundreds of Republicans and Democrats came out to support Mayor Mary Marvin and trustees Bob Underhill and Randy Mayer. People value their homes and their local community first and foremost. It generally defines the quality of your everyday life. The Democratic candidate clearly was not qualified to steward our village, and when everyday life is threatened, people react. This election clearly threatened Bronxville and its very responsibly run board, one that ensures Bronxville continues to be the village we cherish. Pick a cliché and run with it. "Change for the sake of change" is foolish and reckless in matters of governance, and "why fix it if it ain't broken?" These expressions of frustration by many at the outcome of the national election, who we feel made up the bulk of the opposition's vote, is understandable, but seriously misplaced. Bronxville, Eastchester, and Westchester County literally thrive compared to other localities across NY state, and country for that matter. For the first time since 2006, our sitting board was challenged in a contested election. Not because the opposition should, but because they could. There are far more productive things to focus on rather than going after diligent, highly accomplished and competent stewards of our communities, and we greatly appreciate the hundreds of registered Democrats who supported our slate. Finally, I will say on a personal note, I was deeply heartened by the outpouring of support when I reached out to our residents this week. After living here for 20 years, that is a humbling feeling and a true testament to the faith our residents have in our mayor, Mary Marvin, and trustees Randy Mayer and Bob Underhill. We should never take their service for granted and, I unequivocally know, they do not take the residents of Bronxville for granted either. Editor's note: MyhometownBronxville does not fact-check statements in letters to the editor, and the opinions do not necessarily reflect the thinking of its staff. 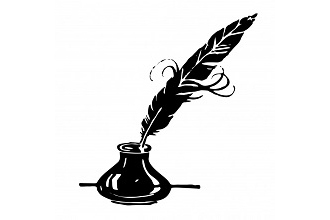 Its objective in publishing letters to the editor is to give air to diverse thoughts and opinions of residents in the community.